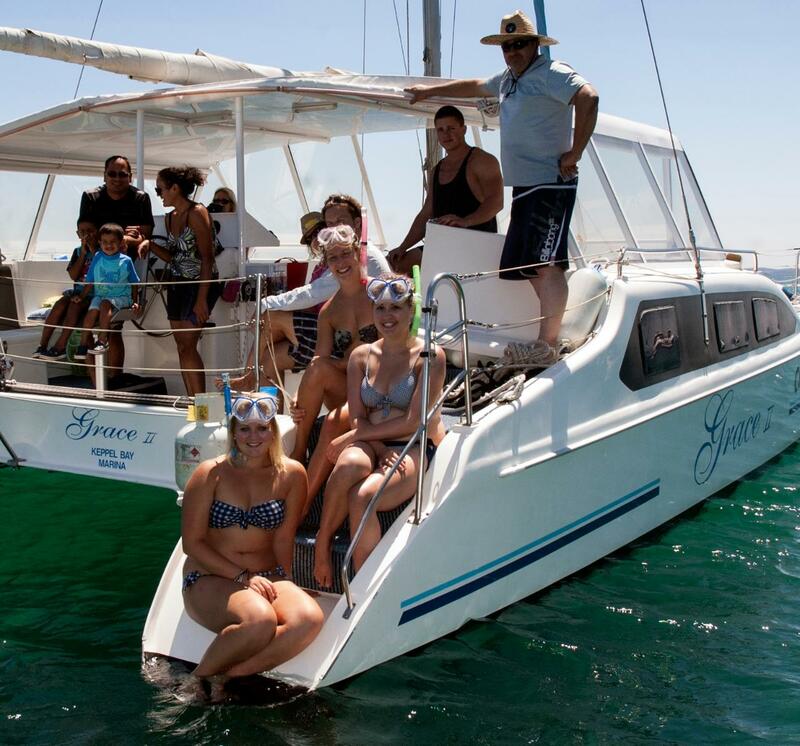 Sail Capricornia offers private charter for a day cruise aboard the purpose built sailing catamaran, Grace II for up to 24 people. Cruise the Keppel waters with a full day sail to secluded beaches and coves and coral reefs of one or more of the beautiful Keppel Islands. Grace drops anchor for lunch while her guests snorkel, beachcomb, swim or just soak up the Queensland sunshine.